Regrouping can be a very difficult concept for students. 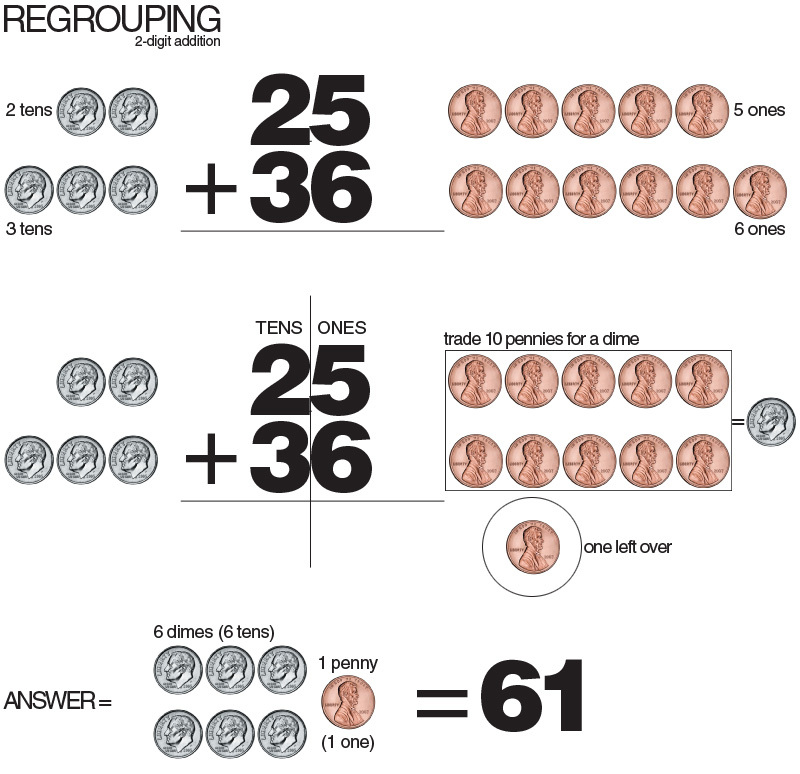 A great hands on way to teach adding double digits is with dimes and pennies. Kids figure out that they add digits in the ones place first. Then, they add the digits in the tens place. Love this idea. So smart to build true understanding. I've done trading with base ten blocks, but this is another way to make it all make sense. Thanks for sharing!